Discussion in 'BigBox General Chat' started by Spoon Unit, Mar 5, 2016.
mike01hu, PsyVision and Mike Kelly like this. With PLA at least, I really can improve this by using first layer height at 99 and width at 101 and getting the flow rate right. Thinking of create a small 4 layer high square just for flow tuning. Do post your tuning exercise and how it turns out. Tuning the first layer is a bit of a mystery to me, not least because it's not clear exactly what height the nozzle is at the end of z-offset calibration. Whatever I come up with is not going to fully apply to you unfortunately as I have a dual. With the dual, there is no Z offset as you tune the bed level manually with a piece of paper. In the manual it says that, as a part of the procedure to calibrate z-offset, you should "touch" the nozzle on the bed. Since I can't see when it's touching I use a bit of paper too. It's all very subjective though - in fact I'm guessing - and that bothers me when it comes, eventually, to the first layer. Right. I have exactly the same concern. I guess it's going to be guessing for a while, and then it'll become experience, and then we'll do it while sipping tea. 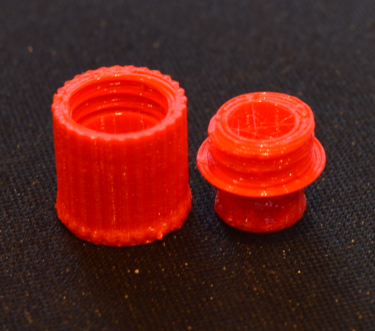 Nozzle calibration is the same across several different printers. You get the nozzle a paper away from the bed, adjust the sensor and then tune the z offset. On my Printerbot the z offset is -0.47 mm. This tells the printer that the difference between the bed surface and the sensor is .47mm which allows the sensor software to make the adjustment for a perfect first layer. It is not always an exact science and it took me numerous tries to get at that number so that the first layer is not too squished and not too far away. Now when I print I get the perfect stick. It does take some time so be patient. There's no z-offset on the dual, so you can't configure that. If the first layer isn't right, you have to re-level the whole thing again and try different paper tension. I have plenty of patience and a realisation that this is a craft where you have to learn the ropes. This one one of those ropes. This evening this is what I'm doing to calibrate Z offset. In s3d extrusion width is currently set to 0.8mm. I take the calipers to the ooze shield and it's a ribbon 1.3mm wide, so I know I'm a little close to the bed: will ease off the Z offset a bit ( 0.05mm) for the next print. I think this could work for wide extrusion widths that a caliper can measure well. Sounds good. One thing to keep in mind is that most materials are going to behave a little different I think. Some may like, or need, a slightly squashed first layer to create enough adhesion for the print duration. I'm finding with PLA on UHU that I can have a perfect base layer with no squashing, but it's a slight struggle to do the inaccuracy of paper "feel". I don't know whether I need it fully trapped, or just barely able to move, or get it barely able to move then go up one notch. A "notch" is also challenging with the default firmware, so I really need to get that sorted. Yeah, I noticed the firmware can be a bit jumpy with the intervals when rotating the dial. Is that something we can parameter? @R Design There are two settings that have been changed in the latest version, one of which changes the direction of rotation and the other increases the value selection precision, after using it last night I can say it's a lot better! @PsyVision you have the "latest version" ? Cool! Would it be useful if we had menu options for "Go back to Ooze Bucket!" and "Wind down to bottom of Z" ? I also like the idea of Goto Dump Bucket as an options. I'm quickly finding there are some standard things I want to do. For me, those are the 4 things I'd want to see when I click the dial. Sooner or later mine's going to do precisely that. http://amzn.com/B000BYGIR4 This is the feeler gauge they use at the Microsoft store with their Makerbot printers, my friend is a manager there. Using it you can find the exact distance between your nozzle and bed.